When the boys were little, my favorite thing was planning the birthday parties. 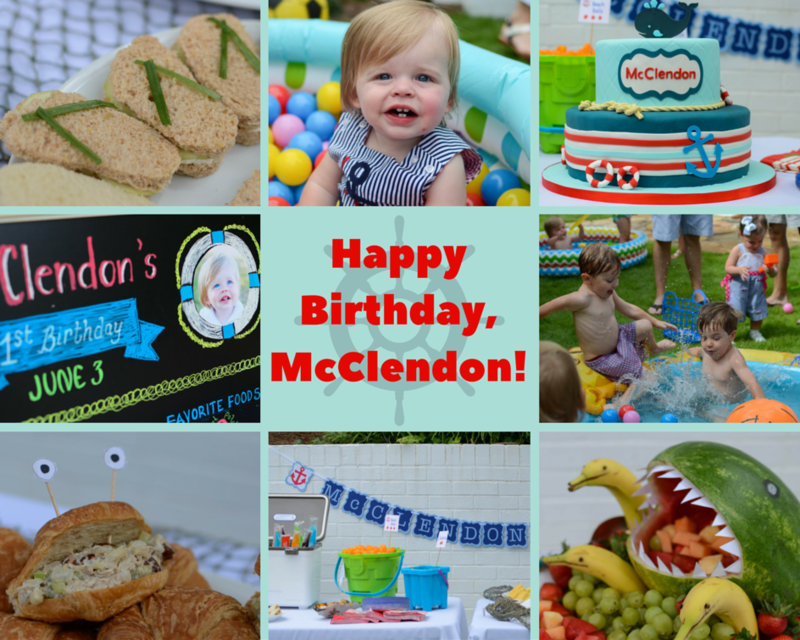 We recently celebrated McClendon’s First Birthday and Mom and Dad chose the theme “McClendon’s Yacht Club.” The backyard was turned into everything from sand, water and balls to create an interactive experience that resulted in happy, organized and manageable little ones. With Week 3 of VeryVera Camp, we are officially at the halfway mark for 2016! As we build more relationships with campers, it makes it sadder and sadder to know that we have fewer weeks of camp up ahead. Our Intermediate campers immediately wowed us with their knowledge of cooking and prowess in the kitchen.